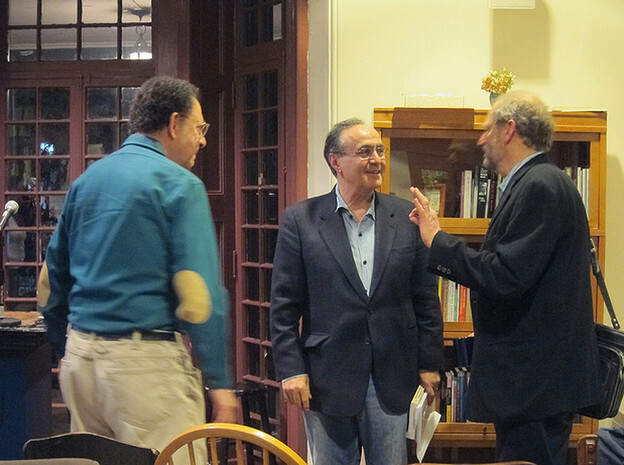 From left to right: George Economou, Murat Nemet-Nejat, Bob Perelman. See this 2009 interview with Nemet-Nejat conducted by Kent Johnson, published in Jacket issue 37. And listen to Nemet-Nejat’s six-minute reading at a program on “new European poets” in 2008: MP3. The journal’s title EPSIANS derives from EPSI, i.e., English Poetry Studies Institute of Sun Yat-sen University (P. R. China). The journal is international in scope, open to Chinese and English-speaking scholars, and is mainly devoted to poetry studies with occasional contributions on other related topics. The first issue was published in September of 2011, and can be downloaded here. Papers submitted to the journal should be sent to: epsians2011--@--gmail.com. Deadline for contribution to the third issue is June 1, 2012. PennSound has replaced the low-res version of these tapes, so now possible to see in full-screen. 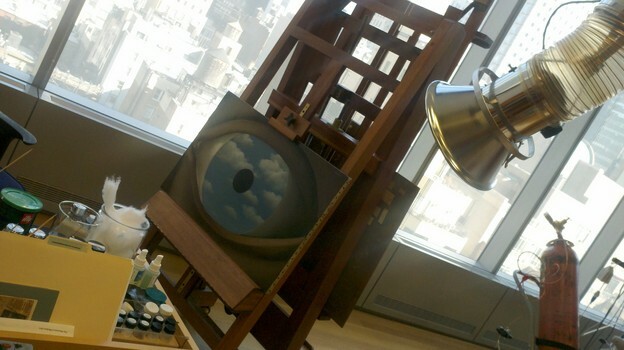 The program took place at the Whitney’s Philip Morris space, across from Grand Central terminal in New York. 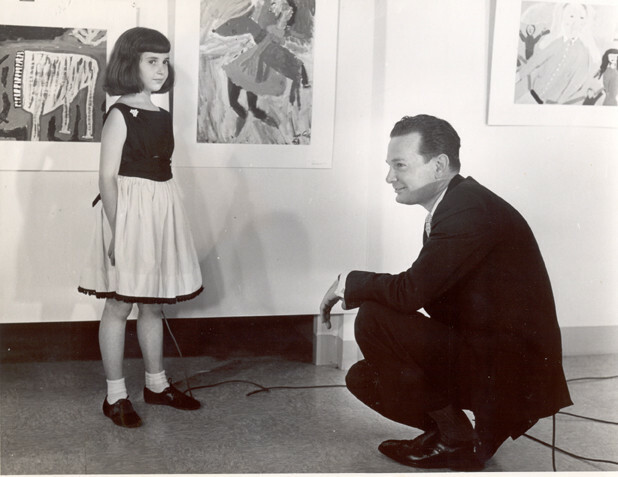 Susan Bee Laufer (at age 9) with David Brinkley on the Huntley/Brinkley Report, NBC, 1961. In the background is her oil painting of "Girl with a Dog," at Galerie St. Etienne, NYC.